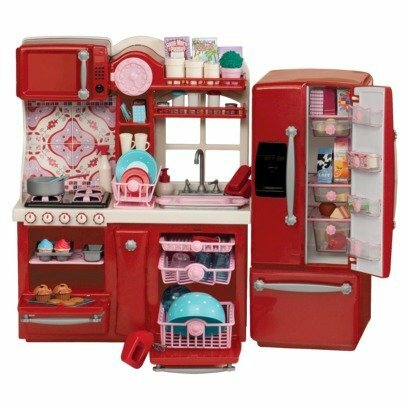 ThemeParkMama: Our Generation Kitchen Play Set $118! Look at this awesome Play Kitchen for only $118.95 with free shipping! If your little one loves "Our Generation" dolls, this Gourmet Kitchen Set will make a great gift. This 18"-doll-sized play set is packed with essentials and extras.